I know yesterday I was kind of whining about how short summer has felt so far, but when the Hotlanta temps reached over 90 while I was working outside this week, I started dreaming of the cool fall weather. I know: The grass is always greener... For now I'm just trying to keep myself hydrated. 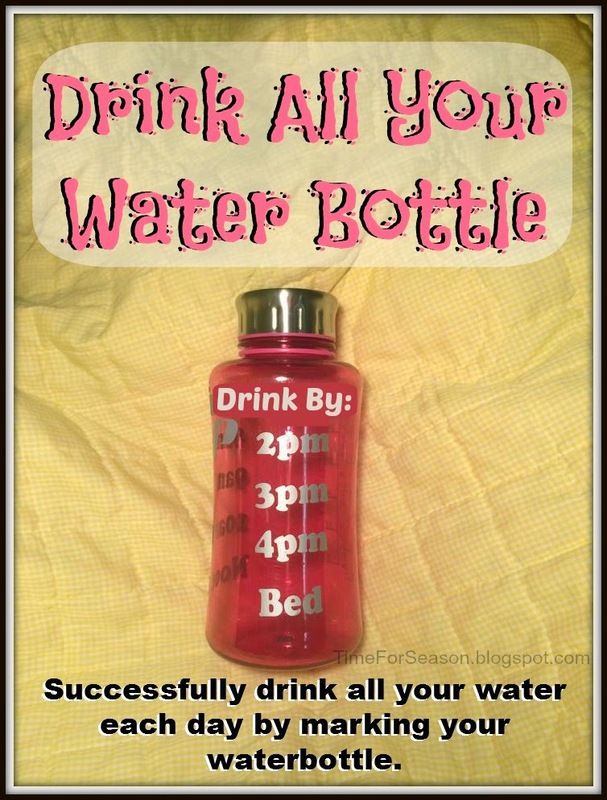 When I fill my water bottle up in the mornings it always feels like such a daunting task. 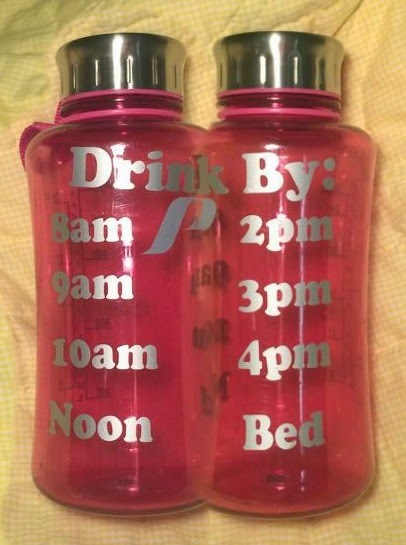 As with most large tasks in my life, I decided to break my water intake into smaller bits! 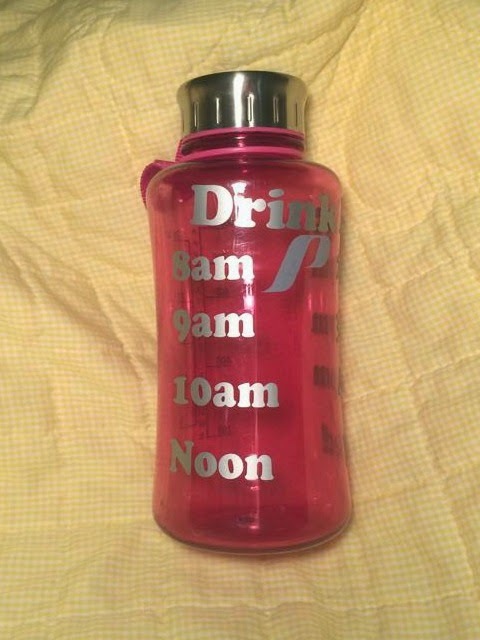 I marked small goals on my water bottle to help me stay on top of it. 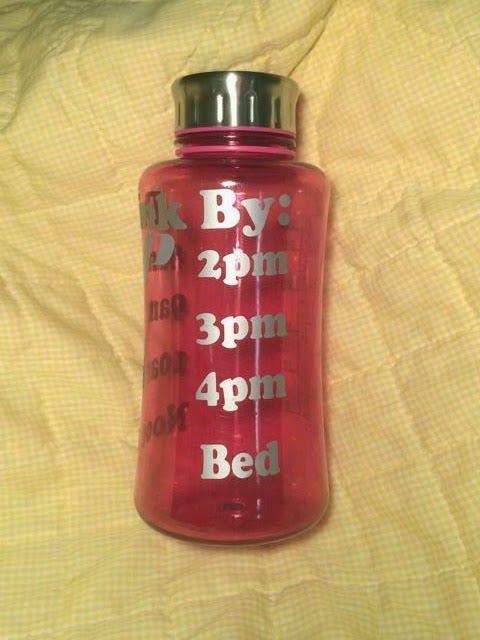 I try to drink 2 full water bottles each day so one side of my bottle has 8am through noon and the other side 2pm through bed. 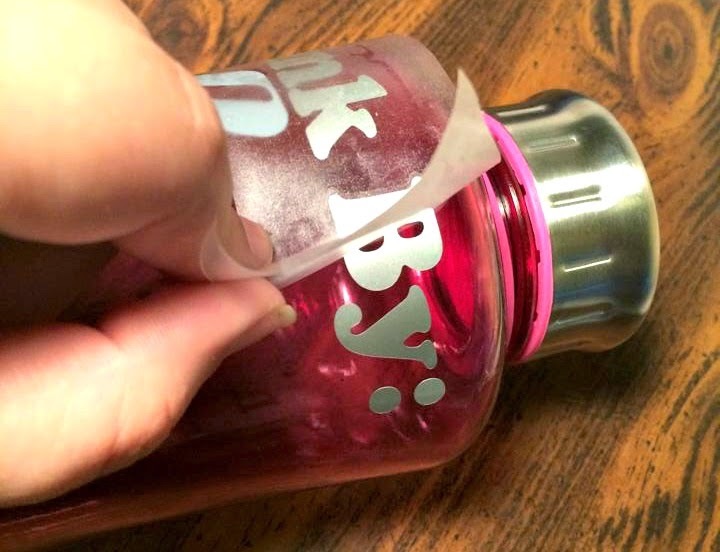 If you're using vinyl for the first time, check out this great Tutorial from Silhouette. 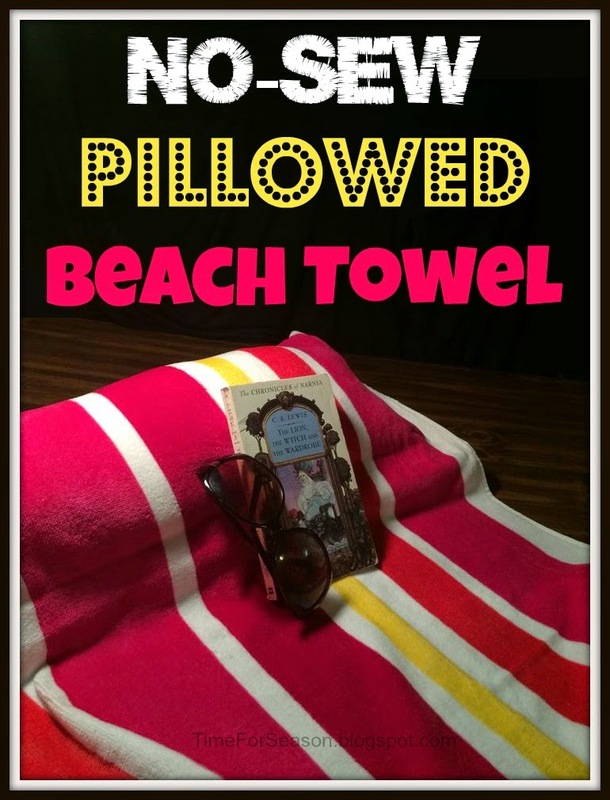 It's pretty easy! 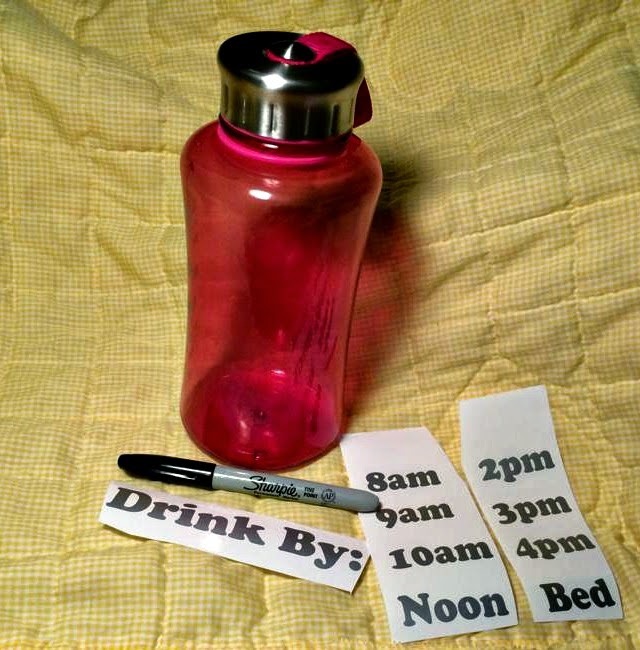 If you don't have a Cricut or Silhouette, you can always use a sharpie to neatly mark your water bottle. I wasn't too worried about the details of dividing the bottle up evenly, I just wanted some sort of goals, so I could keep myself on track and not feel over whelmed. The third picture is obviously photo shopped. ;) But it gives you an allover look. 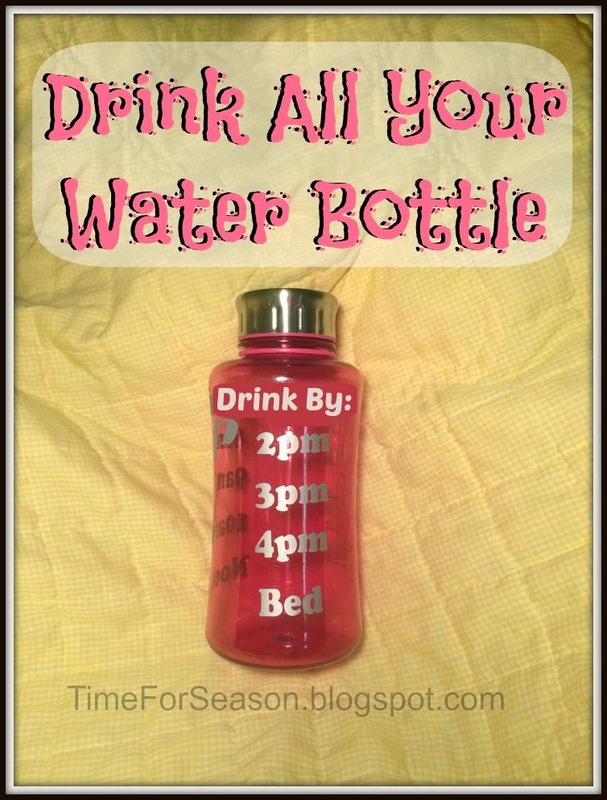 Once made, I would only hand wash the water bottle whether you use vinyl or sharpie.